Find New Resources to Innovate! FREE Download: "16 Keys for Finding Resources to Accelerate Your Innovation Strategy"
You know it’s important for your organization to innovate. One challenge, however, is finding and dedicating the resources necessary to develop an innovation strategy and begin innovating. 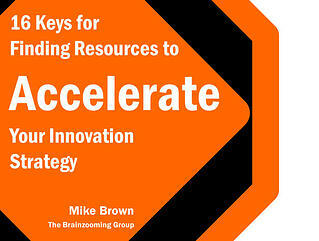 Download your FREE copy of Accelerate Your Innovation Strategy today!